i. Aboriginal languages are fundamental and valued element of Canadian culture and society, and there is an urgency to preserve them. iii. The federal government has a responsibility to provide sufficient funds for Aboriginal language revitalization and preservation. 15. We call upon the federal government to appoint, in consultation with Aboriginal groups, an Aboriginal Languages Commissioner. The Commissioner should help promote Aboriginal languages and report on the adequacy of federal funding of Aboriginal languages initiatives. 17. We call upon all levels of governments to enable residential school survivors and their families to reclaim names changed by the residential school system by waiving administrative costs for a period of five years for the name change process and the revision of official identity documents, such as birth certificates, passports, driver’s licenses, health cards, status cards, and social insurance numbers. i. Fully adopt and implement the United Nations Declaration on the Rights of Indigenous Peoples and the United Nations Joinet-Orentlicher Principles, as related to Aboriginal peoples’ inalienable right to know the truth about what happened and why, with regard to human rights violations committed against them in residential schools. i. Determine the level of compliance with the United Nations Declaration on the Rights of Indigenous Peoples and the United Nations Joinet-Orentlicher Principles, as related to Aboriginal peoples’ inalienable right to know the truth about what happened and why, with regard to human rights violations committed against them in residential schools. 93. We call upon the federal government, in collaboration with the national Aboriginal organizations, to revise the information kit for newcomers to Canada and its citizenship test to reflect a more inclusive history of the diverse Aboriginal peoples of Canada, including information about the Treaties and history of residential schools. 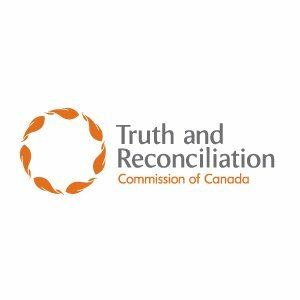 SaskCulture encourages the cultural community of Saskatchewan to recognize the significance of this report and all of the calls to action set out by the TRC, especially those related to culture, and to consider how this national milestone affects all Canadians, including those who come from settler heritage, as well as those who are of Aboriginal ancestry. In our work to build inclusiveness and share a diversity of experiences, it is important for us all to understand the multi-generational impact of residential schools and be a respectful, engaged part of the reconciliation process moving forward.